People want to feel safe, especially in their own homes. Many times people aren't willing to compromise when it comes to protecting their children and their families. They're willing to do whatever it takes to ensure that their home is safe and protected which means they are spending money on top of the line home security products including alarms, cameras, sturdy locks and bolts, etc. 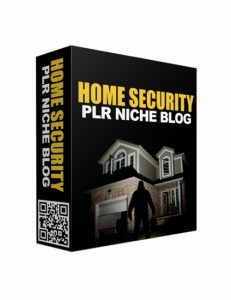 The home security niche is a powerhouse profitable market with new and more advanced security products being released yearly. People want the best and this is your chance to deliver what they need directly to them. This amazing template is perfect if you want to make it big in a proven niche. Content, images and product links are there for you to expand and change up. What's especially great about the home security market is that it's evergreen and is needed worldwide which means customers from all walks of life can come to your site with the intention to make a purchase. If you want to get your money hat on and deliver what the world is clamoring for and helping families stay safe in their homes, this high quality and professionally developed home security template is for you. Grab it today. What goes hand in hand with travelers? Luggage of course. 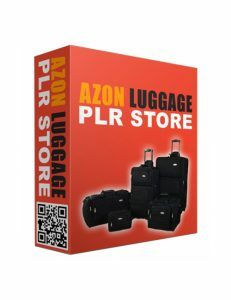 People need luggage to take their belongings with them whenever they're vacationing and this store template provides you with everything you need to sell luggage to the many travelers who are needing it. Being an Amazon-exclusive template, everything is set up for buyers to purchase without a problem. Simply replace the links with your own and become a brand name in a lucrative industry. In today's world, traveling is the biggest pastime for people everywhere. All generations are traveling more today than years prior. The niche is humongous and growing bigger. Catering even to a subset of a giant market is hugely rewarding. Let's look at it in simple terms; people love to travel and they need luggage. You run a luggage site and sell products to them directly. Sounds easy enough? Good! Grab this template now and start building. No better time than the present. A high quality website is absolutely crucial if you're involved in the marketing industry. Whether it's online or offline, you need a site that not only gets attention but keeps the attention of the audience. 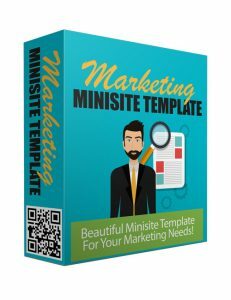 This second volume template from the popular 2016 marketing minisite series is sure to impress and it gets the job done. Everything is balanced, attractive and responsive across all mediums with this top notch and professionally developed template. In the marketing industry, agencies and companies are investing big money for their websites. You might even feel a little uneasy knowing the costs to get a site of such magnitude built to represent yourself and your company. But worry not because this template is created with the intention of pulling eyes to your web presence and converting users into clients. If you're prepared to make it big in your industry, let it begin with this awesome marketing minisite. There are many known diseases, viruses and physical ailments that plague us at any point in our lives. 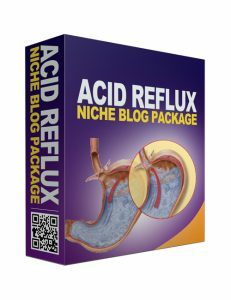 Acid reflux is one such issue faced by many people. To deal with these issues, sufferers tend to use the internet to understand causes, symptoms and treatments. This template is a great starting point if you have the ability to help people handle this problem regarding Acid Reflux. As you build your site and become a voice in a major and common issue, you'll see the profitable side on top. People purchase a lot of health related products or find medical advice online. This template is created precisely to get you seeing the green. If Acid Reflux is your area of expertise, grab this template and make it your business. Anything that allows people to be cured or recover through natural means will be a popular alternative to medicines. That's why aromatherapy has been making waves the past while. Aromatherapy helps people to manage their pain, get better sleep, deal with stress a lot better, handle depression, and fight diseases and heal better overall. 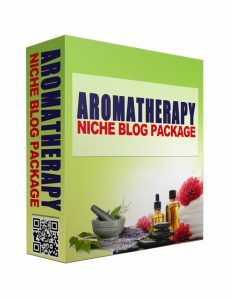 This template is professionally created and optimized primarily for the amazingly popular aromatherapy niche. If you want to dominate this niche, you need a great website and this template is perfect for what you'll be needing to get a head start. A website needs to be attractive and engaging. It's already done for you so you simply download and publish and make it your own. Grab this amazing template now and kill it in the aromatherapy niche. The beauty industry will never grow old nor slow down when it comes to revenue and interest across the world. There are few things that people spend more money on than personal hygiene products and beauty products. 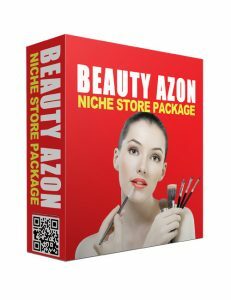 This shows that the beauty niche is not only incredibly profitable until the end of time but that there are countless opportunities for marketers and online store owners to make money. To get things running fast and save you the cost of building a site from scratch, this Amazon store template is exactly what you need. Not only is Amazon the biggest online marketplace in North America, it's extremely easy for anyone to buy products off Amazon with the click of a button. People love speedy service which makes Amazon optimal for marketers and for buyers. If you're ready to make it big in a massive industry with your own Amazon store, grab this template now. Business owners and marketers may see the massive potential of the online marketing stratosphere when it comes to connecting with an audience, building a brand, and boosting their business. But what is lost is the massive offline marketing potential which still exists but is underutilized highly. Direct mail advertising, flyers, banners and bus shelter posters, phonebooks, networking, seminars, cold calling, print publications, trade shows etc are all powerful offline marketing methods which many people are unaware of. 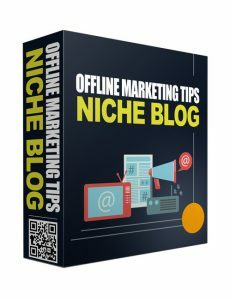 With this fantastic web template, you're in a position to become an authority in the offline marketing niche. There is so much content out there and with your own knowledge of the offline world, you can be a major brand in this space. If you're ready to make a big mark and build your audience up, grab this template now and start moving forward. If you want to make it big online, you need a website first and foremost. But before a website, you need a niche that you're not only passionate about but which also had a big audience. You get both here today with this amazingly well-crafted website template. It comes with content and everything else you need. 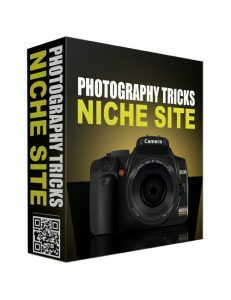 The photography niche is big but photography tips and tricks is even bigger as a whole lot of would-be photographers want to become Instagram sensations overnight or have their own popular gallery of photos to share with the entire world. But to do so, they need to know how to operate a camera successfully or learn how to take the best quality pictures. You have it all made with this site. It's ready to run and you simply add your expertise and build up your audience. Grab this template now and rock it big-time in a huge niche.